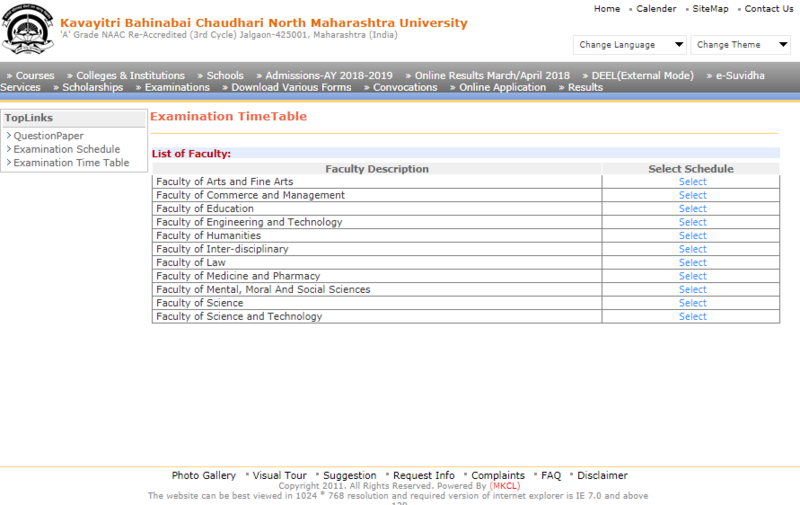 NMU Question Paper 2017-2018 SYBCOM, TYBSc, MSc Physics, BCA – As a part of the good news, on the official website of Kavayitri Bahinabai Chaudhari North Maharashtra University ‘A’ Grade NAAC Re-Accredited (3rd Cycle) Jalgaon-425001, Maharashtra (India) that is – www.nmuj.digitaluniversity.ac, direct link to download the question papers that too course wise has been activated now. 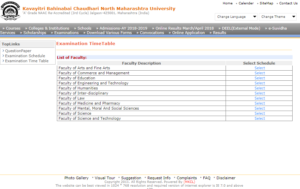 After visiting the authorised portal, now candidates will just have to select Faculty, select course and select learning method and hit the search button then. Side by side, important links regarding Question Paper, Examination Schedule and Examination Time Table are also given.